a few days ago she had been wandering around with a swatch of black silk tied over her eyes. 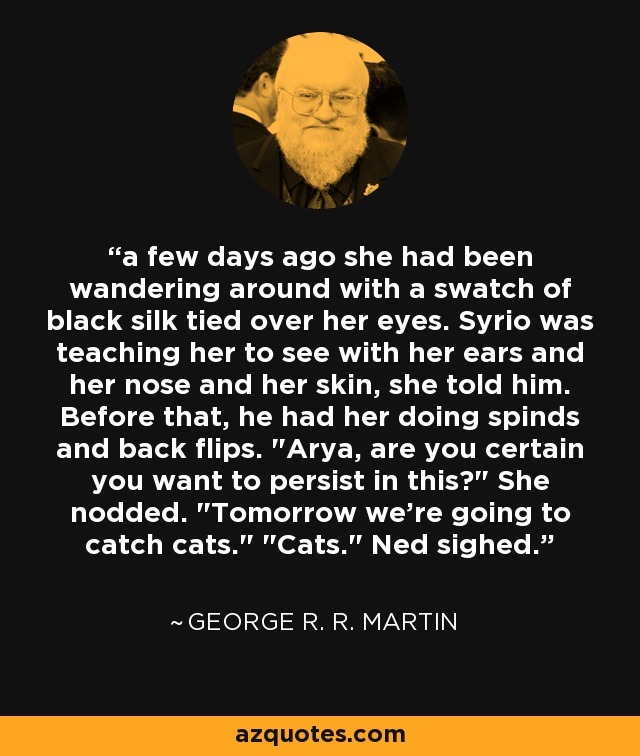 Syrio was teaching her to see with her ears and her nose and her skin, she told him. Before that, he had her doing spinds and back flips. "Arya, are you certain you want to persist in this?" She nodded. "Tomorrow we're going to catch cats." "Cats." Ned sighed.